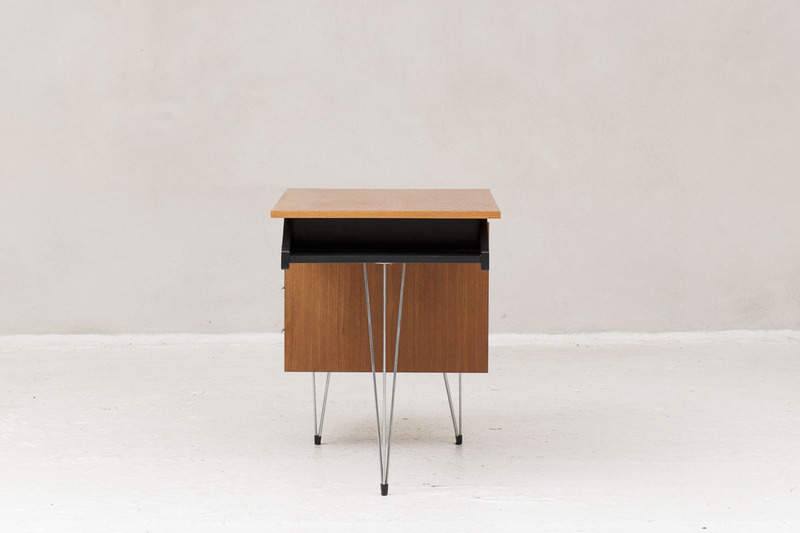 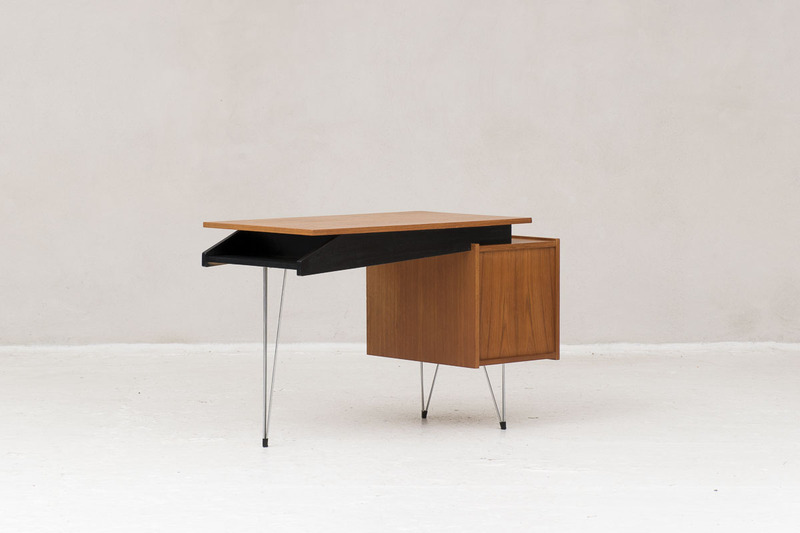 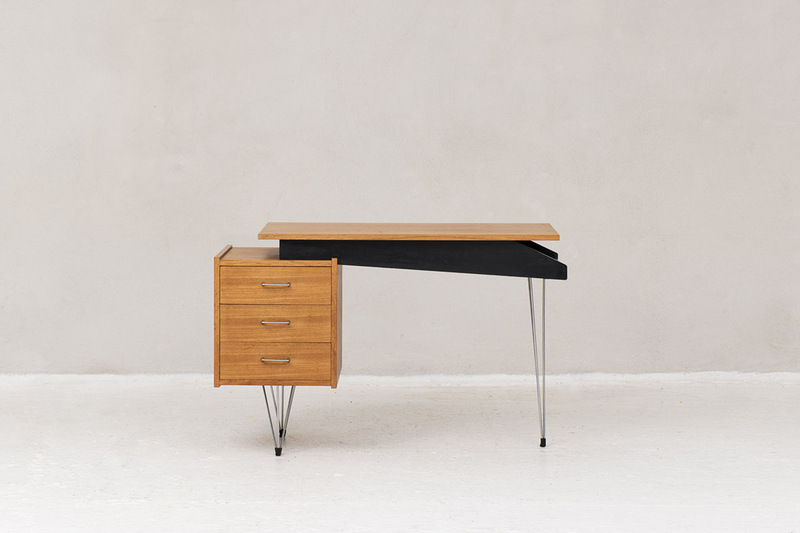 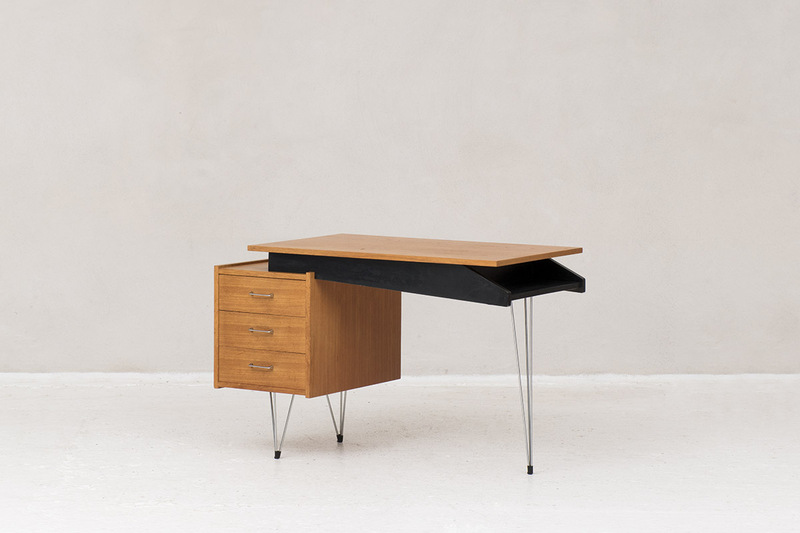 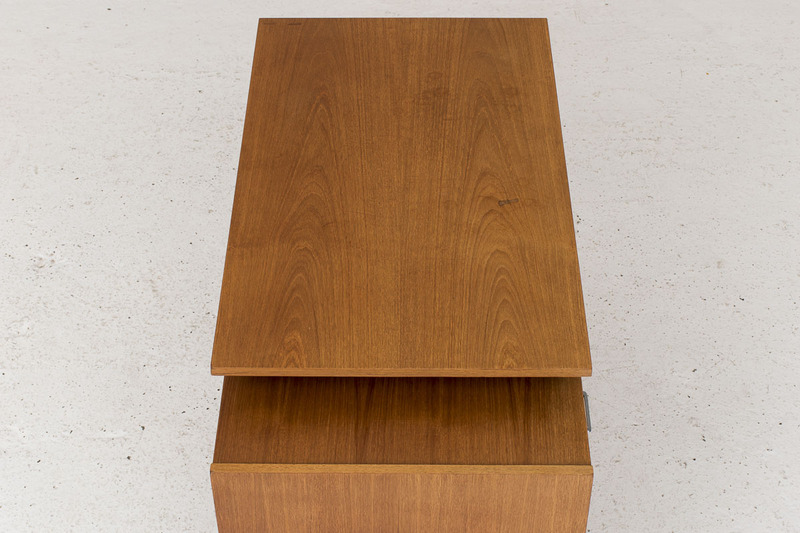 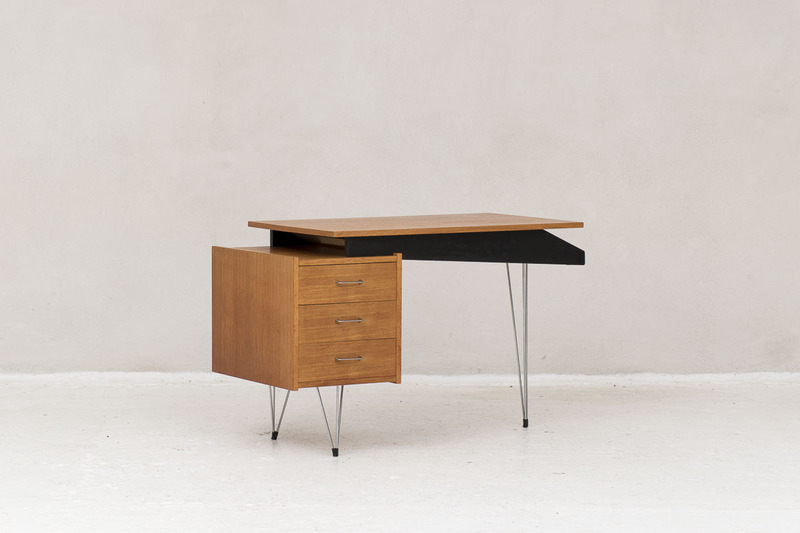 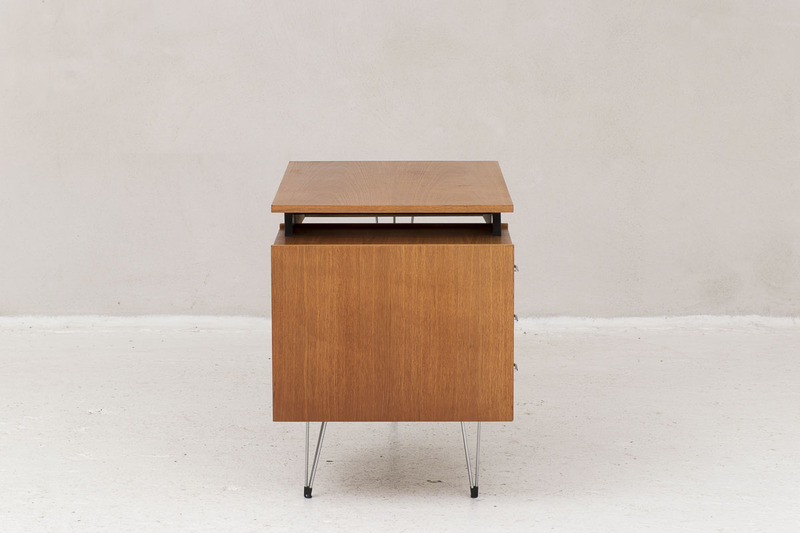 Writing desk designed by Cees Braakman and produced by Pastoe in the Netherlands around 1950. 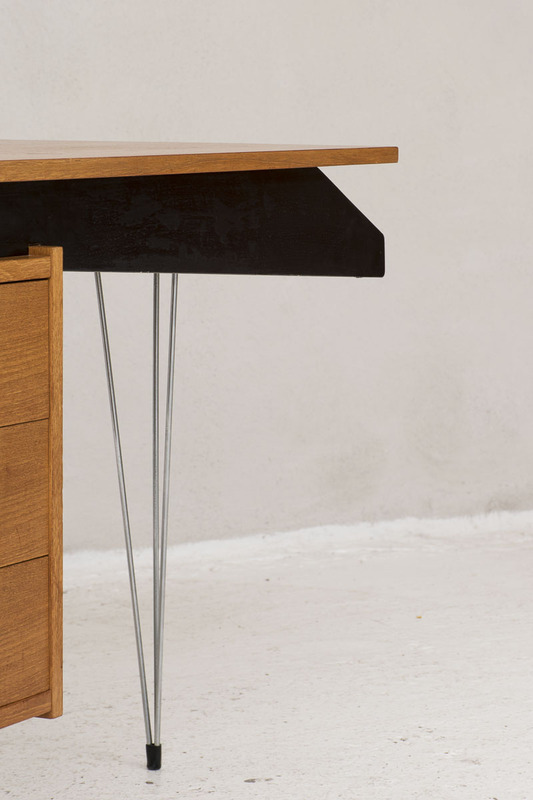 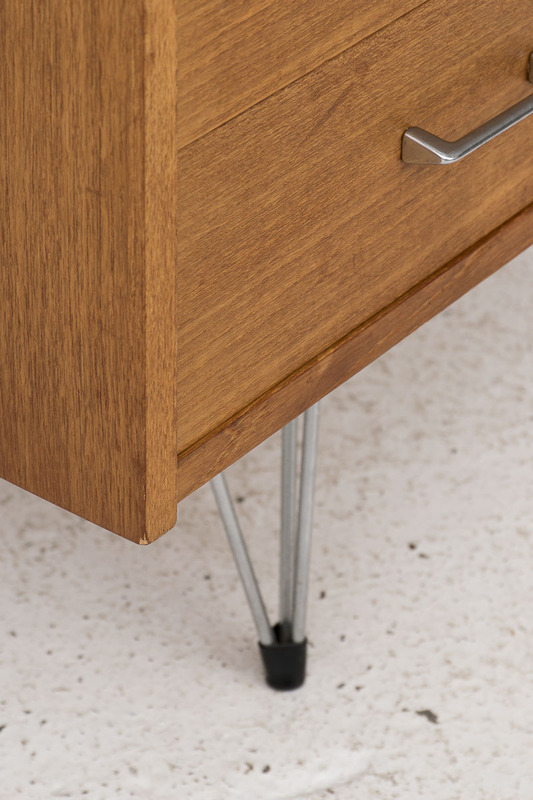 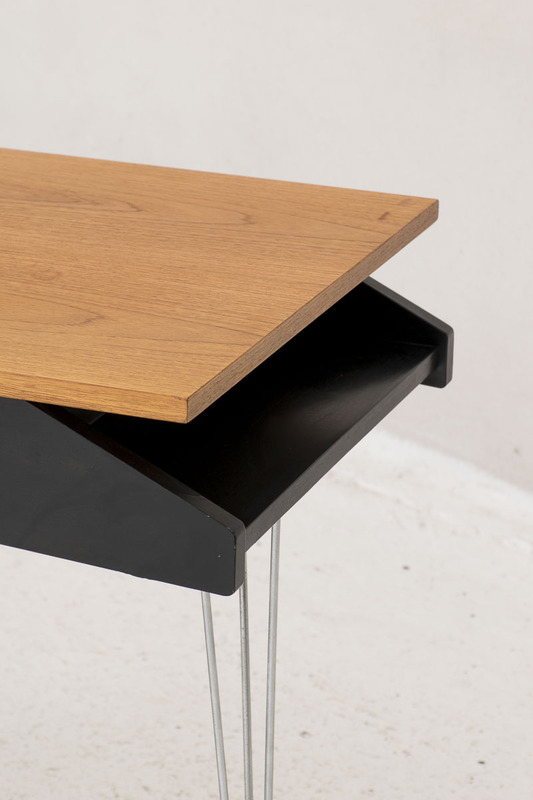 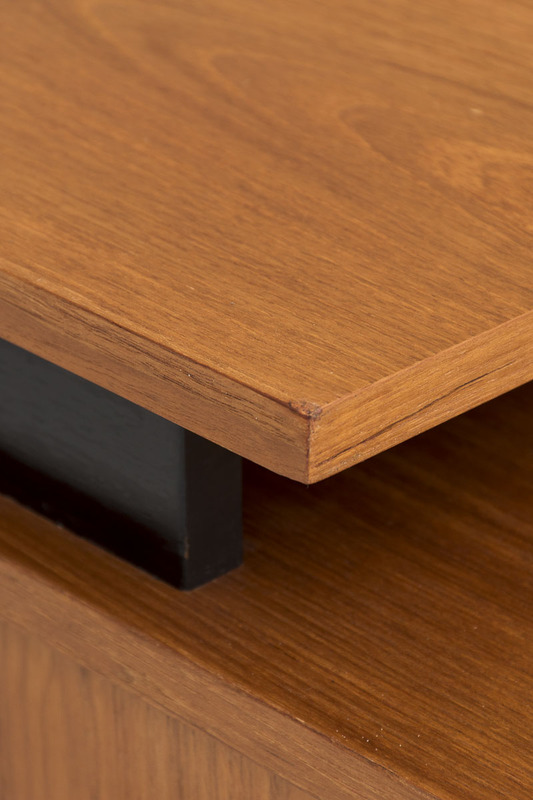 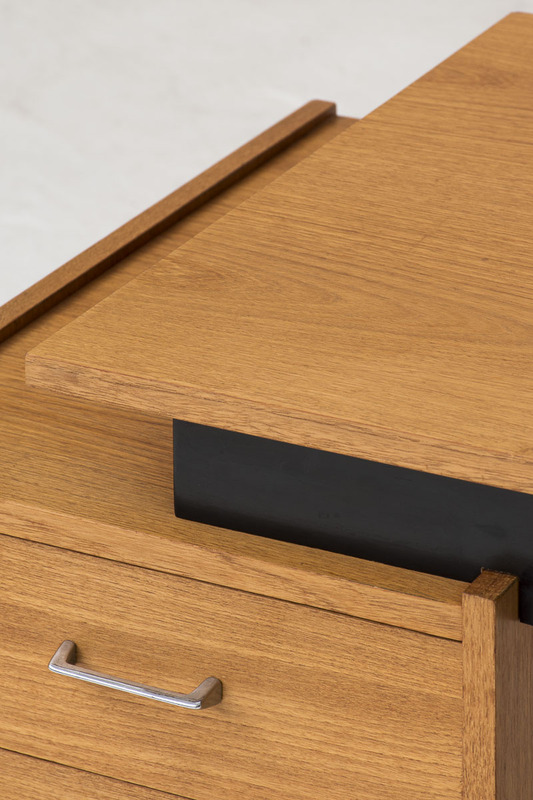 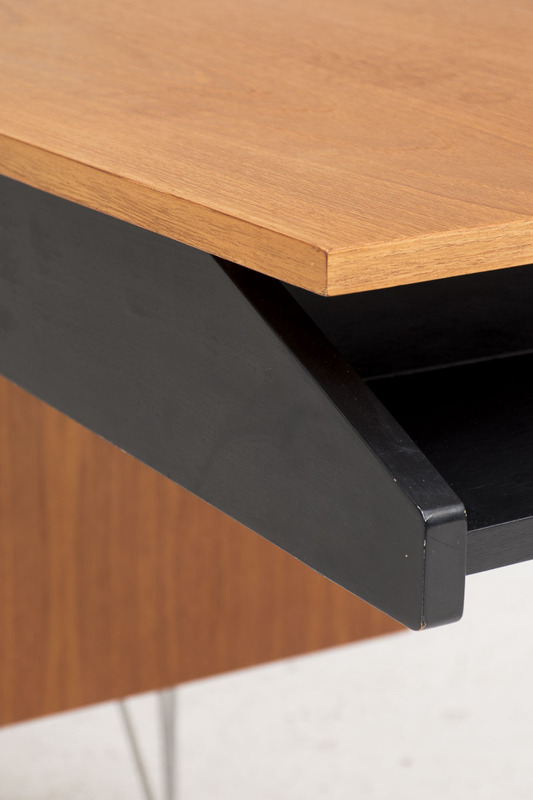 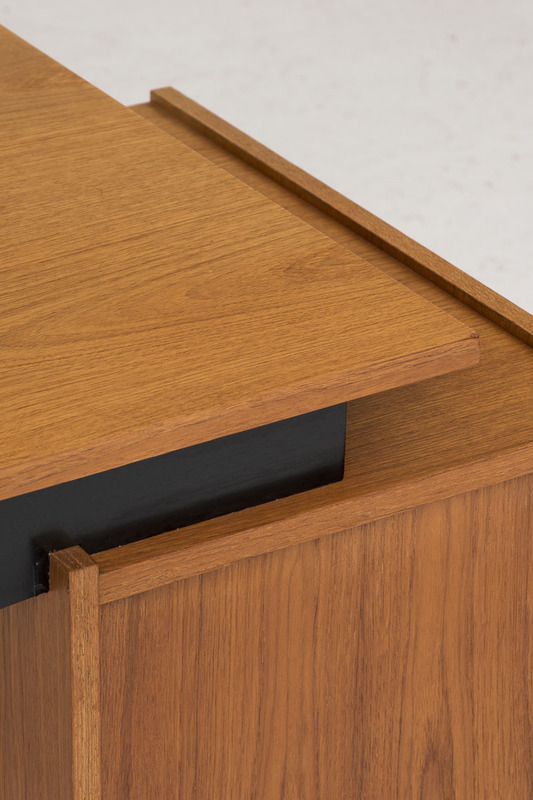 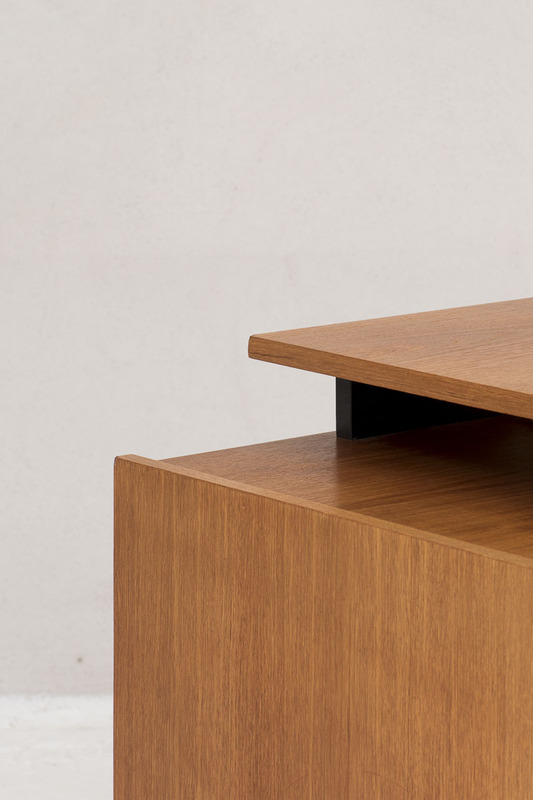 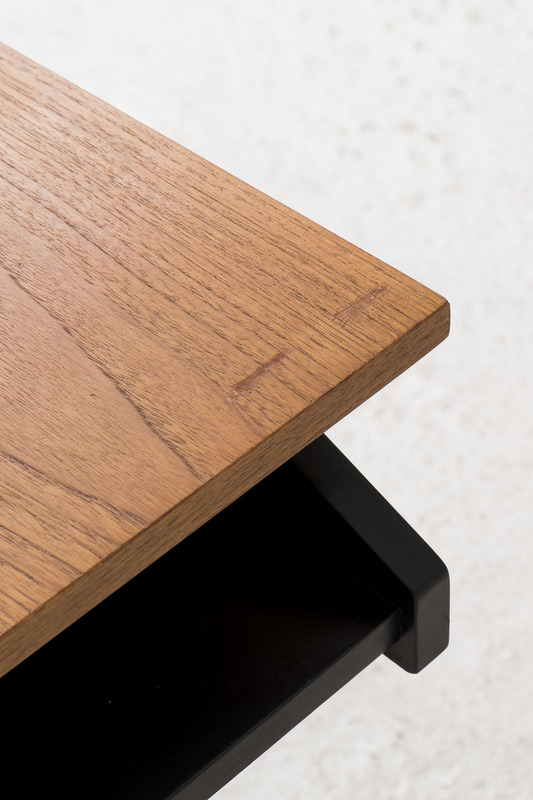 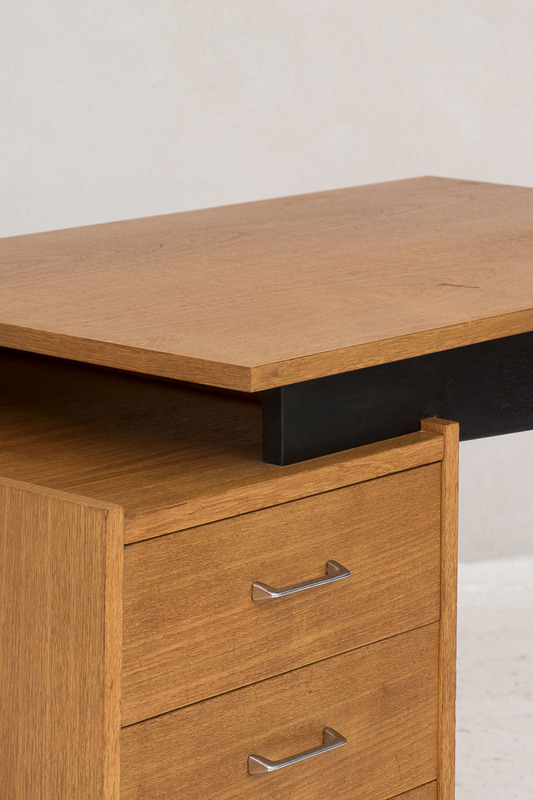 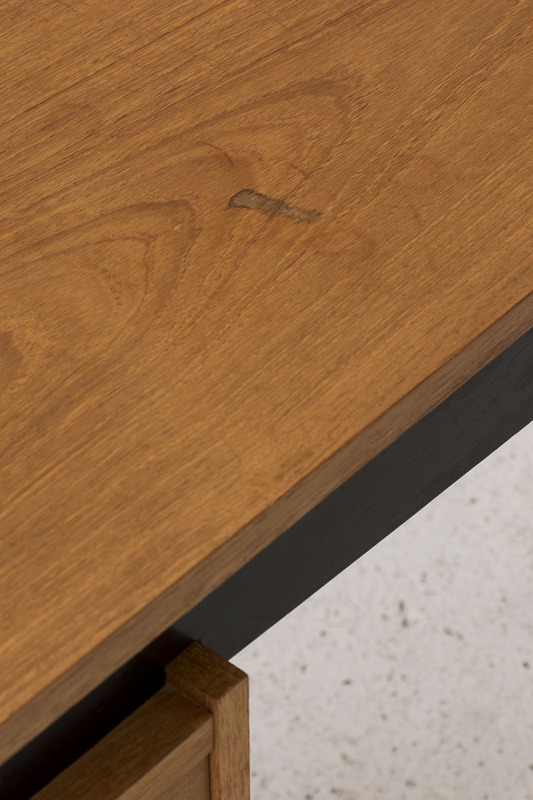 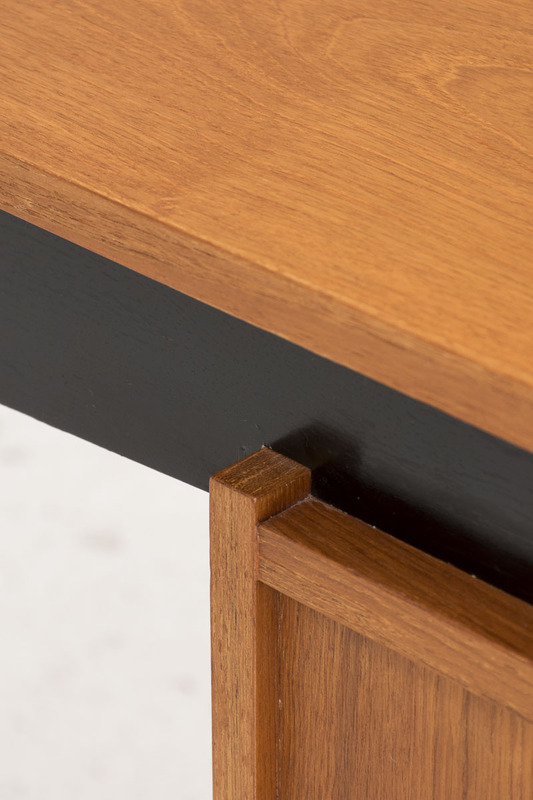 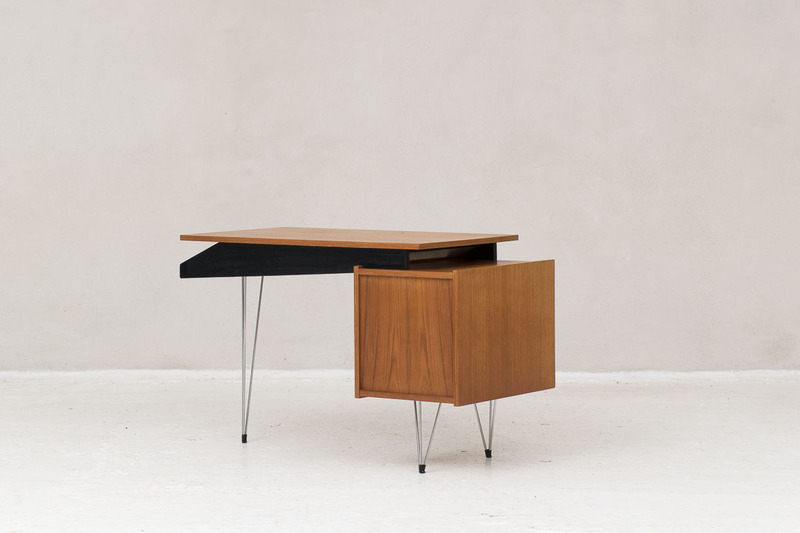 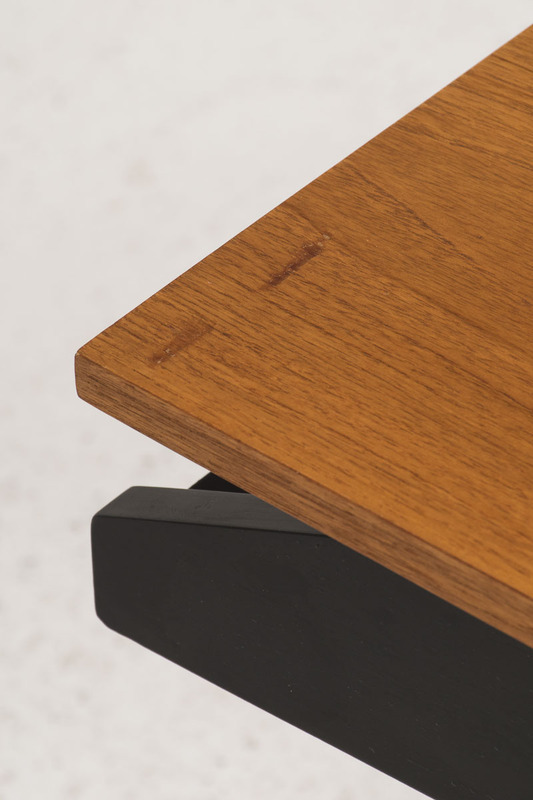 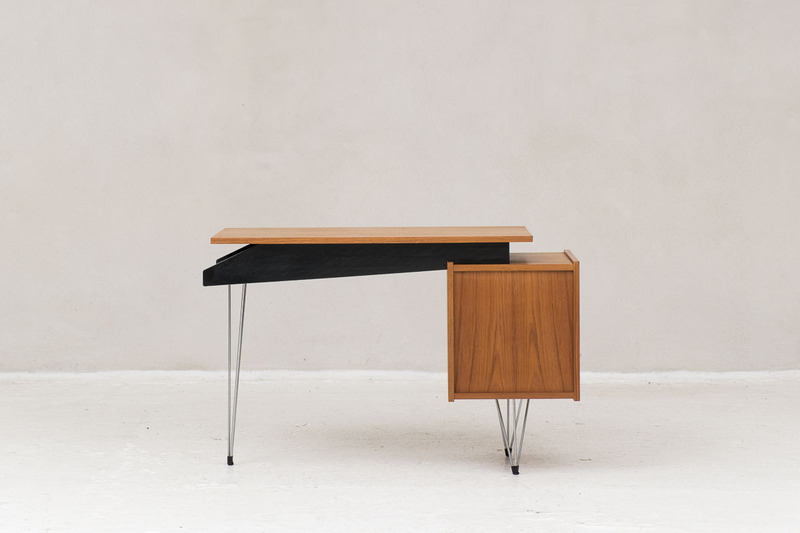 The desk is in teak veneer and black lacquered wood on black metal hairpin legs. 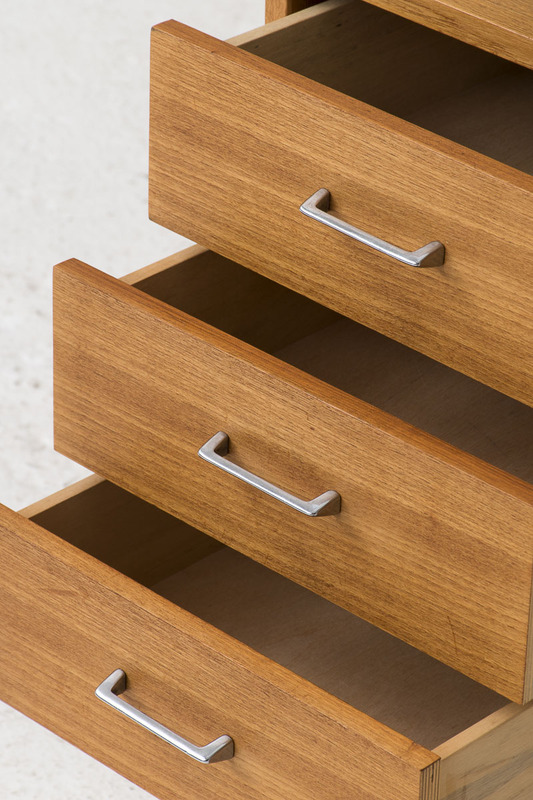 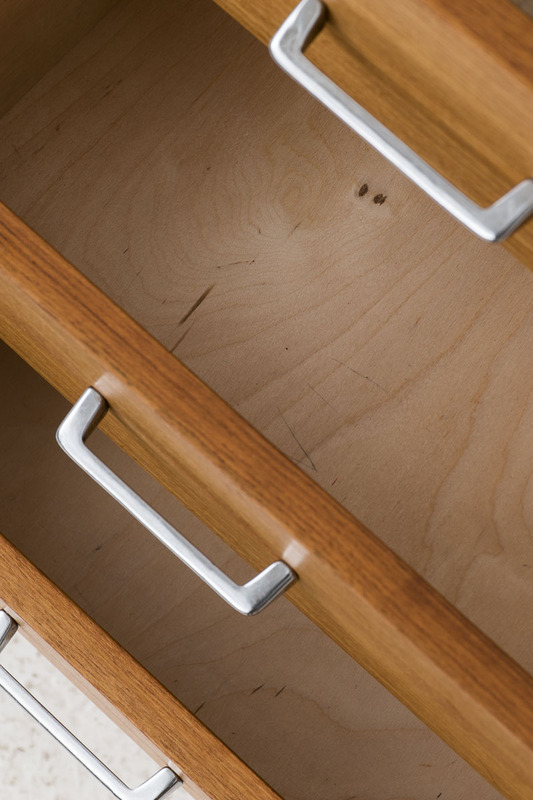 It has three drawers with metal handles. 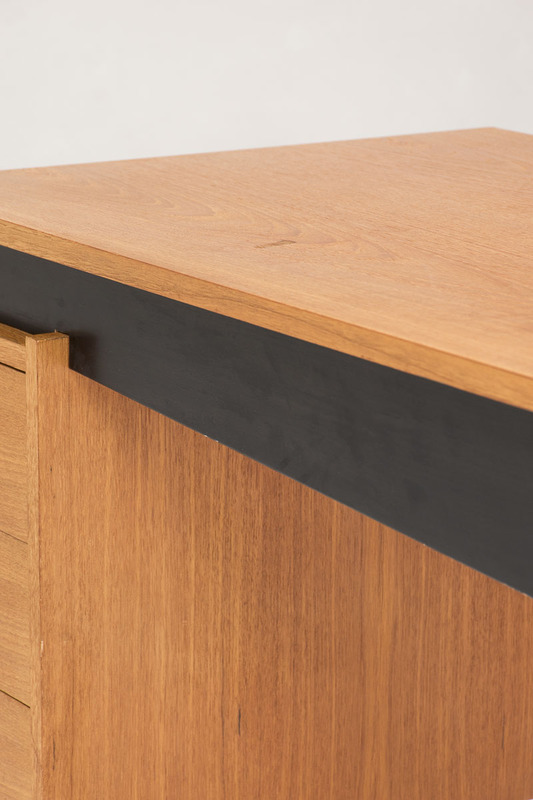 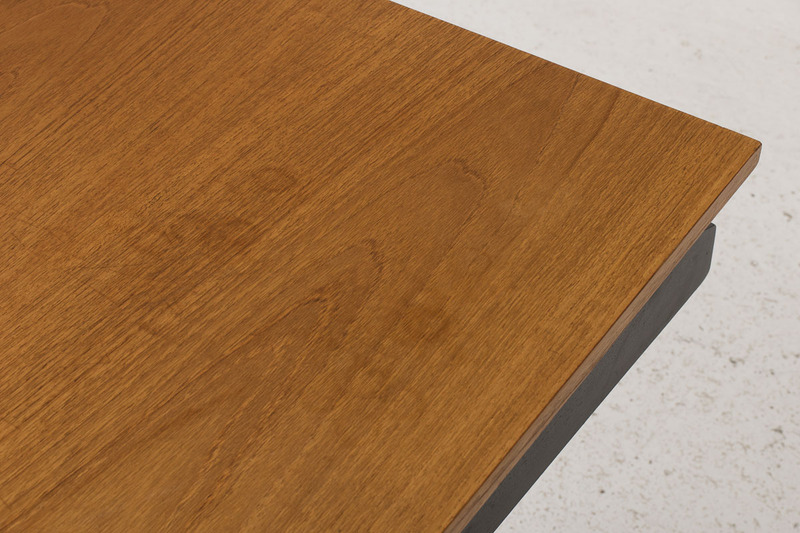 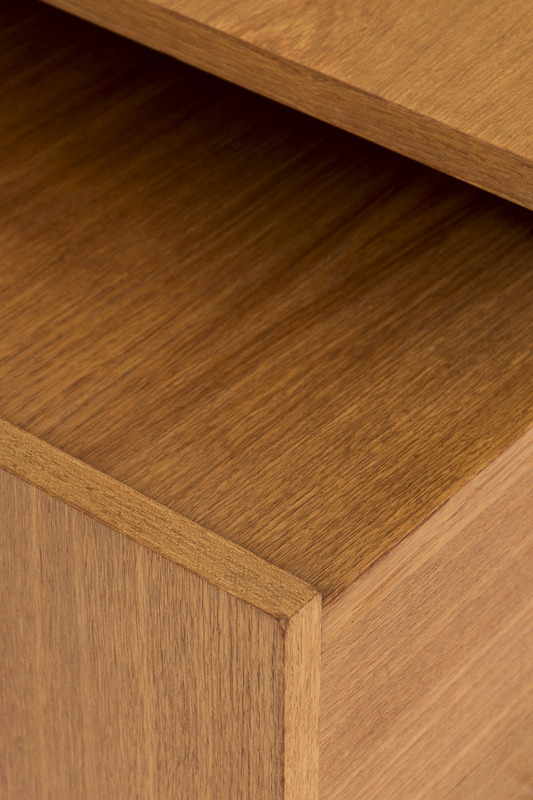 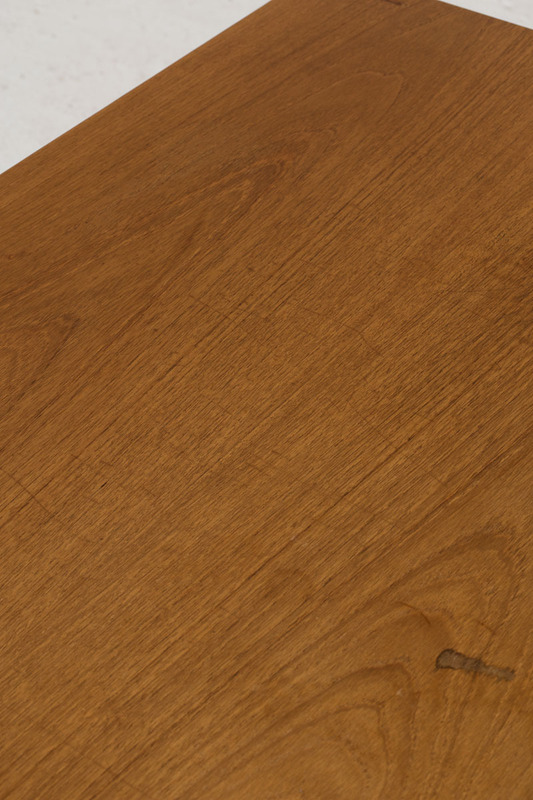 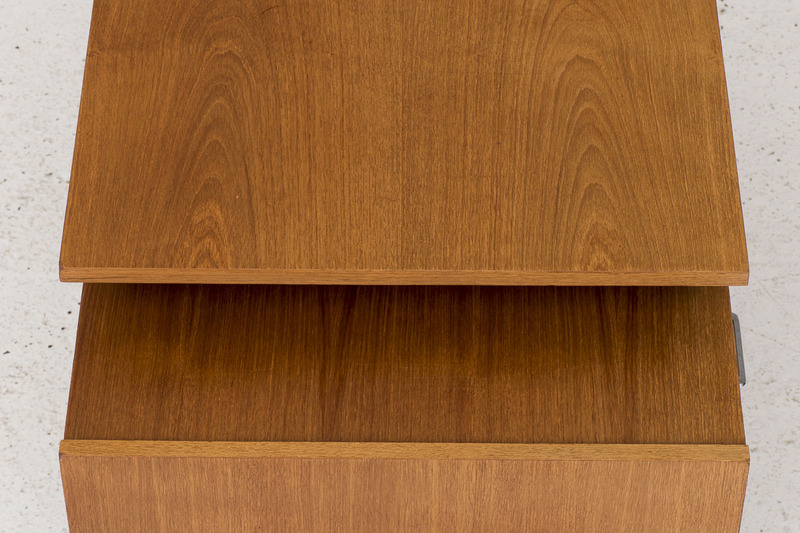 The piece can be used freestanding, the back of the desk is finished as well. 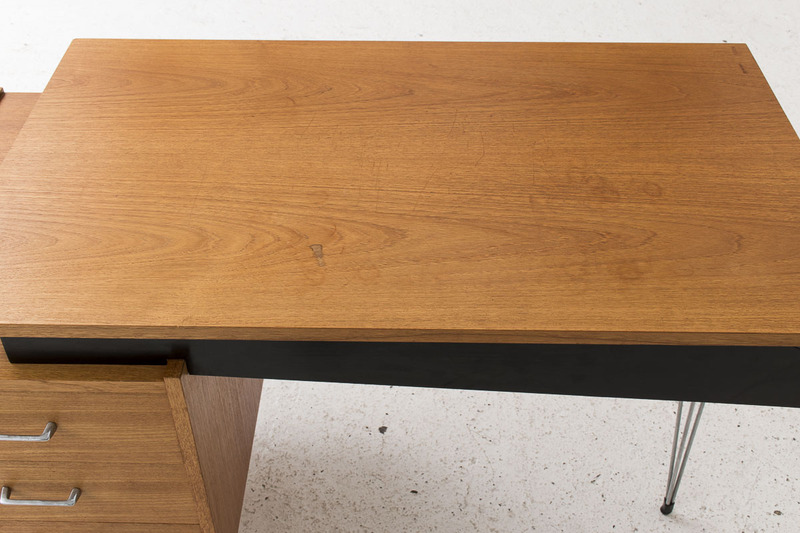 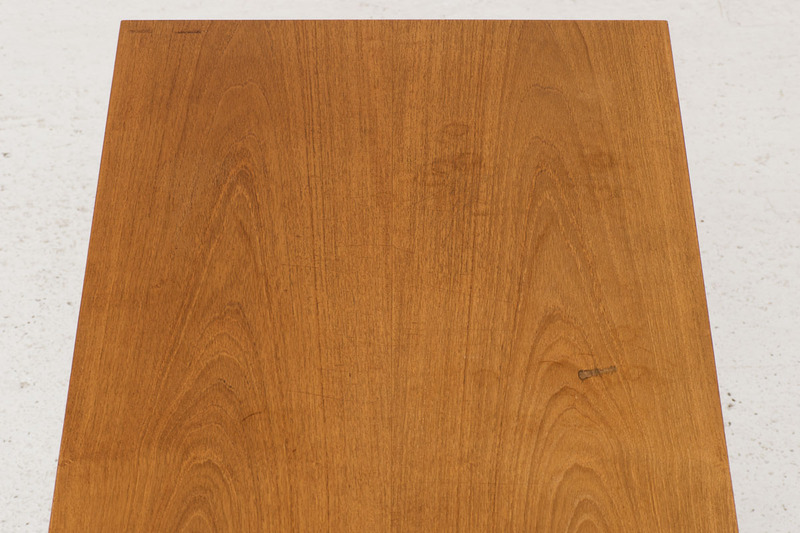 The desk is in good condition with some using marks on the top as shown in the pictures.